Cavities are generally the end result of improper brushing or flossing as well as poor diet choices such as sugary foods and drinks. 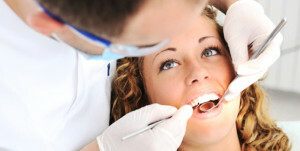 The process that leads to cavity formation is known as Dental caries. Essentially, the process of Dental caries starts when food particles, particularly simple carbohydrates such as lollies, remain on a tooth surface for a prolonged period of time. These food particles attract bacteria which metabolise the particles and release acid which breaks down tooth structure or forms a cavity. The cavities must be cleaned out and filled to ensure they do not progress and become potentially painful and costly to repair. The key to prevent cavities is to ensure you are brushing and flossing regularly, limiting your intake of sugary foods and drinks as well as having your teeth checked every 6 months by a Dental professional. Fillings can also be done to fix chipped or broken teeth that may be causing an aesthetic or functional problem. At Redland Bay Smiles, we only use the latest tooth coloured filling and bonding materials. Our ceiling mounted televisions with Foxtel will help keep you occupied and relaxed while our Dentists work away.